It is great to have a retail sales strategy that stresses the need to engage every shopper to get every sale, but the devil is in the details. How are you going to make sure every retail associate understands your unified selling process? How do you get them to adopt it as their own, and what is necessary to make retail sales training a success? Online training holds the potential to give you all of that as well as higher conversions and higher units per transaction. This post will serve as a primer, an in-depth look at all that goes into making a online retail sales training program successful. "This is a wake-up call for traditional mattress chains: The 1960s model doesn’t work anymore," said Bob Phibbs, chief executive of New York-based consultancy the Retail Doctor. "The traditional mattress-buying experience didn’t make people feel like they mattered. It made them feel used." As for Nike, "they hit it out of the park with the Kaepernick ad," said Bob Phibbs. "This ad is completely in line with who Nike is and what they stand for. That authenticity resonated and will continue to resonate with their customers." "People still want to write retail apocalypse but it’s not happening," said Bob Phibbs, chief executive officer of New York-based consultancy Retail Doctor. What Is Online Retail Sales Training? Just like in-person training, online retail sales training is a proven system that covers how to engage a stranger, how to build rapport so you gain their trust, how to show the product benefits, overcome objections, and sell value over price. The difference is in the delivery method. 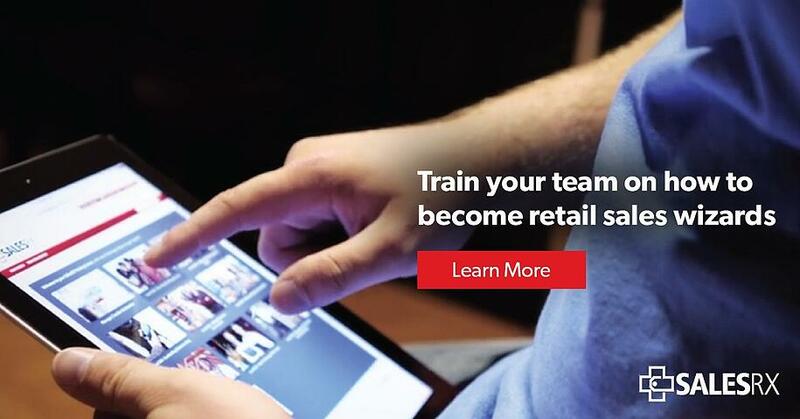 Training that is delivered online scales easily for larger retailers and gives smaller retailers the resources to train each of their associates in a bite-sized manner. It’s important to note that one is not better than the other. In fact, there has to be an element of in-person training if you want to truly move the needle of sales in your store. Why? Because while online retail sales training has done 90% of the work – what to teach, how to make it engaging - and how to certify a learner - the last 10% has to be in-person by someone inspecting what is expected; just like in-person training. There is no set and forget training either online or in-person. Imagine your child taking piano lessons with no one listening for wrong notes or your spouse opening a bakery without anyone tasting their creations. No training will work unless you monitor and coach the learners – especially at the beginning. That's because no one likes to be trained. Training means change. It means being held accountable. It means doing something in a new way where you might fail. And for that reason, many employees fear they won’t be successful at it and therefore fear being fired. And many retailers won’t schedule the followup to make sure the employees know exactly how they can improvise and where they must follow the plan. Those retailers are doomed to failure. The old saw is still true: Those who fail to plan, plan to fail. With traffic and conversions going down across the board for brick and mortar retailers everywhere, it is easy to want to do something – even if it is inadequate. But half-hearted attempts won’t work. Online retail sales training is fundamentally a shift in your entire store’s culture. It’s like putting a new OS in your smartphone; things that worked before won’t, there’s a learning curve, and the system may move things around for better results. Knowing all of this, many owners fear trying retail sales training because they fear their employees won’t like it or use it. Retail sales training is not a popularity contest. Retail sales training is not a democracy. Whether you use mine with proven results or use a lesser version, you can’t ask your crew what they think about it. They’ll poke holes in whatever you show them and maintain they are already doing awesome. Except if you’re reading this, you know they aren’t. Retail has to be more than a transaction in a store. It is about creating an exceptional experience. And more time with a customer does not equal more sales. You actually hit diminishing returns on time if it is not productive and it is not engaging time between your associates and your shoppers. Which brings us back to the training system which will insure that anyone on your salesfloor knows exactly where they are in a sale, what they have to accomplish at each stage, and where they are going next. To get it right takes work and time. And that’s the great thing about online retail sales training– you only have to schedule it for about 10 minutes per week so there’s minimal time off the floor. That’s right minutes, not hours. Mastery comes in the days after the bite-sized lessons when your associates are practicing role-playing and using what they’ve learned with actual customers. Their goal is to prove they didn’t just get it right once on a test, but that they’ve practiced it so well, they can’t get it wrong on the salesfloor. It’s like that old football saying, When they’re all reading from the same playbook, they are bound to get the touchdowns. Why Is Cost So Important In Online Retail Sales Training? Most retailers look to online learning or learning management systems (LMS) for cost efficiencies, but it isn’t just that it is cheaper to train someone online versus in-person, in many ways it is better. With online training you can view certification reports to verify not just that someone took the training but that they understood the material. That is hard to assess in person or even if you could, it is cost prohibitive as each person may have to have the materials explained again and again. Online retail training can cost from nothing to $50 per person per month. But that old adage you get what you pay for has never been truer. Anyone who has to sell, no matter what their current level of experience, can learn from a wide range of online retail sales training programs powered by intuitive interfaces specially designed for ease of use. Anyone should be able to start training immediately without a lot of explanation. You can ask questions and receive answers in real time. With my online retail sales training program closed captioning technology, you can train anyone, at any location, in most any language. Specialized modules will specifically meet the needs of sales managers so they know how to coach the online sales training and make it stick. The best online training programs have comprehensive tracking and reporting tools, allowing management to see how their employees are faring at an at-a-glance basis. They can also view who has been certified by completing the training and who has not. You'll need a laptop, desktop computer or tablet, earphones and a place for employees to gather off the sales floor in a comfortable environment. Often the training provided is dull and does not do a good job of teaching the store associate what he or she needs to know to make a sale. When someone from the outside, with a background in training and a curiosity about how individuals learn, delivers the training, the associate does not question it because it has third-party credibility; they just believe it better. Training can be more effective because it can immediately be corrected, explained and rewarded. A great trainer is easily understood, is engaging, and makes the time pass quickly. Company trainers may show up to train several employees, but due to unexpected schedule changes those employees have to cover the salesfloor. The training can be a fire hose of information that is hard to remember. Employees who are used to standing all day find sitting for long periods uncomfortable. Unless you have a great trainer, the time can go by slowly with little to show for it. So as you’re considering how you’ll deliver training, you might wonder why it should even matter to you. Why are those so bad? Because you can't build a common bond with one-word-answers. Some retailers still try to use the old sales-y introduction by reaching out their hand and saying, “Hi I’m (first name) and you’re?” but that technique is trying to force a shopper to extend their hand and be friendly. That friendliness only comes from the salesperson’s ability to build trust in a genuine manner. They have to like you before you can pitch them. There is nothing a shopper needs in your brick and mortar store that they can’t order online. Is Retail Sales Training Like Product Knowledge Training? A retail sales training program is behavioral training. It is designed to change the way one person responds to another in a brick and mortar store. Many people don’t get this. Product knowledge or technical training is passive and concerned with facts. The learner has to do nothing. For example, product training on a piano would involve how many keys there are, the science of a C Major scale, differences in sounding board materials, tuning requirements and the like. You would not have to actually be in front of a piano. But with behavioral training, the learner has to actively take an action and that requires practice. Behavioral training on a piano would involve how to hold your hands, how to crossover your fingers in a two-octave scale, etc. While you could understand the facts of it, the key to mastery is practice . You take online retail sales training to understand what to do but mastery only comes with that consistent practice. You must interface with humans to develop muscle memory to become welcoming; you must choose the right words to put in your mouth and be able to micro-adjust on the fly to adapt to each stranger. Both types of learning need to be understood clearly and the learners need to know why each type of training is important. Your retail sales training must be designed to include at a minimum how to approach a shopper, what to say and not say at the outset, how to use probing questions, how to present the benefits of the product over the features, and how to suggestively sell one additional item that makes that first purchase more complete. What is Retail Sales Training Online and What Should It Involve? One difference between retail sales training online and in-person is that online typically will be an off-the-shelf solution that offers one set program. In-person can offer a customized training program that is only concerned with your specific store. But remember that customization comes at a much higher cost. You probably already have product-specific training from your vendors, so that’s not what you should be concerned with creating, at least at the beginning. At a minimum, the training of soft skills of selling covers everything from how to listen to a shopper, how to greet a customer, which words to use and which to avoid, how to build rapport before pitching a product, how to show and tell that product to a specific shopper, how to close a sale by overcoming objections, and how to follow up. You can develop your own retail sales training program, but is impractical for many because the creation and rollout of such a program from start to finish could take anywhere from eight to ten months and possibly as long as a couple years until it is all scripted, filmed, beta-tested in the field, and gets final approvals from the multitude of people who each want to find a way to tweak it. Even if you choose some of the self-service platforms, what works for one salesperson often doesn’t work for another, so choosing what to train and who will do it often become stumbling blocks to success. That’s why my online sales training program SalesRX is the best choice for your retail business. The tens of thousands of dollars have been spent, the content is based on my proven system that trains employees to engage a stranger, build rapport, and close the sale. It has been vetted by hundreds of brands and thousands of users on sales floors around the world. And it takes just minutes, not years to signup and begin training your crew. When you do sign up, you’ll be able to realize one of the key values of online training, it takes very little off-floor time. The practice of new skills can come at any time there is a down moment yielding you a higher rate of return. Why is now the time for retail sales training? Watch the video. Some versions of online training still feature a speaker in front of a live audience and shoehorn that multi-hour presentation into a training package. What's So Bad About Live Videos Used For Online Training? Plenty. Attention spans have become shorter. Attention spans have become shorter. Most training videos created over two years ago were frequently 30 minutes or longer. Now, even a five-minute video pushes the attention span of most learners. If you don’t interrupt the lesson and give them a question to answer, you’ll be lucky if they pay attention for even two minutes. See how interactivity keeps a learner engaged in this preview from the How to add-on to a sale lesson in SalesRX. You had to be there won’t cut it. A speech is a very different type of communication. What may work in front of a live audience often falls flat to an online learner because there is no context. Content has to be clear and detailed. The best online retail sales training programs teach one concept per lesson so a learner can get back on the floor and start using it right away. Trying to drink from a firehose of information in a 30-minute video just leads to frustration and doesn’t move the needle of comprehension; in fact, it does just the opposite. So What Does Work And How Much Training Time Does Retail Sales Training Take? First, let’s get out of the idea that sales training is something to get through. Again, this is behavioral training. You can get through an hour content online in an hour, but spending that hour just viewing something won’t result in sales. Remember, just comprehension is not the goal in behavioral training; otherwise, every diet you ever tried would have worked perfectly. The act of changing the way you physically do things is what you are looking to achieve in behavioral training. It’s not until you change the way you eat and look at food that you can achieve what you wanted to by originally going on a diet. Retail sales training is not about getting the questions right on a test; it is about changing the way your employees interface with your shoppers. So how much time does that take?I say when you give employees 2-3 months to master Level 100, the heart of SalesRX, you should see UPTs and average sales go up from 3-6 months thereafter. In order to make your training succeed, you need to devote time to planning exactly how you will bring your team onboard, how you will engage your managers, and how you will get and reward commitment from everyone involved with making the new training program a success. As I’ve said a couple of times now, no training is set and forget. You can set and forget it, but to succeed, the process has to be managed. Checkout this excerpt from the Train-the-Trainer module of SalesRX covering how to correct behavior. Whatever retail sales training you choose, it will only be as effective as you are in managing and monitoring it. Is there a good or bad time to start retail sales training? Outside of December when staff is easily distracted, you can and should start training any time you have the interest and money to do so. That’s because any training your staff gets will influence every interaction they have and potentially close more sales as a result – so don’t wait for the right time. The time is right if you’ve read this far. As long as you have a wifi or ethernet connection, you should be able to have online training reliably delivered anywhere across the globe. Cellular service for video eats up a lot of data time and is often unreliable if you get a truly interactive program like SalesRX. How and When Should I get Management Involved? A common mistake in retail sales training online is the thinking that only the front-facing employees need it. Yet anyone who manages as well as anyone in your call center should also take the training otherwise they have no idea what it takes to actually do the job of engaging shoppers in the new way. And with all the omnichannel buzz around having the same experience in store as online, you want all spoken communication with your shoppers to be as engaging, whether on the phone or in-store. The key to getting buy-in from management is to go to the top. Once the owner or CEO is aligned with a vision, they can help make it a reality. Without their enthusiastic support, managers down the organization line can stop or corrupt your goal of getting your staff trained. There will still be pushback from some. Most frequently the ones who won’t support retail sales training online are those who see the line item for the training budget as taking away from their own budget and programs. The key is to get the whole management team to understand that rising conversions means rising sales which means rising margins. 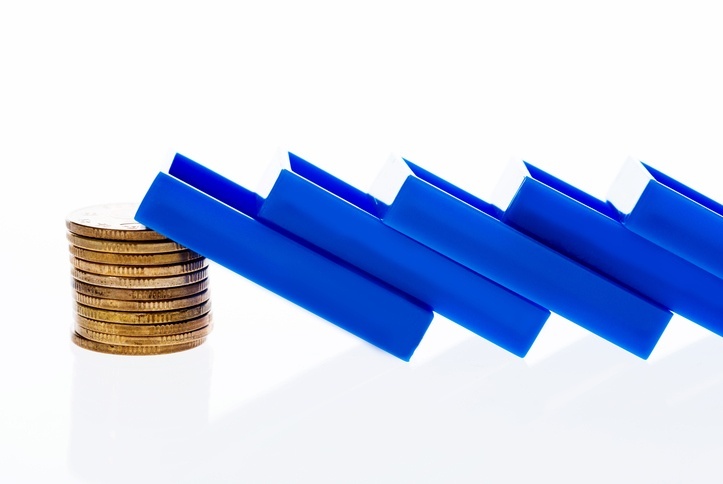 In short, the initial cost should be amortized quickly. But again, that all depends on buy-in from your team. 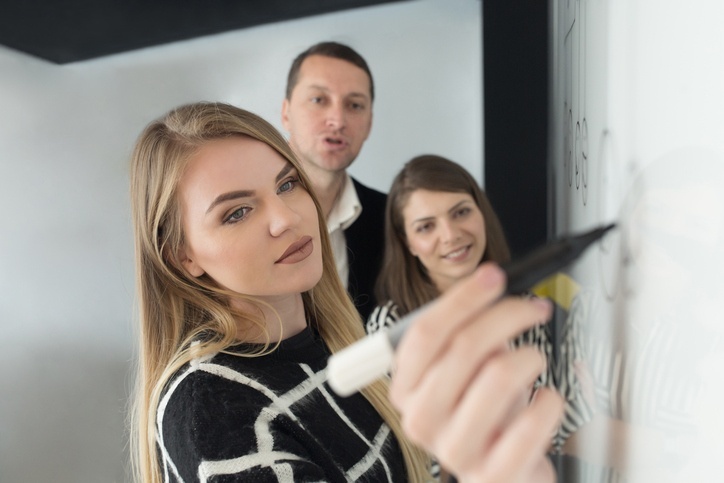 The success of your management team’s rollout of a new training program depends on their understanding that it is not bolted on to existing training, and it is not just a temporary fix for something you’ll take on a month-to-month trial. It is a change in the very culture of your business. What’s that change? To become a company that is focused on constantly developing their employees. The more training and sharing of that knowledge leads to new ideas for how to engage shoppers, how to get more from employees, and let’s not forget – how to make your customers raving fans. Why are our conversions down? Why are our margins down? Why is our turnover high? Why are there so few 5-star reviews of our business? Their answers will inevitably bring you back to the training you have or have not given your employees, the hit-or-miss experience of shoppers in your store, and an overall culture that is hard to define. I would say a huge reason to adopt retail sales training is to help solve the question How to make the human customer first in the age of machines? Once all members of your management team see the need for a new store culture, brainstorm the perfect customer experience. Don’t aim for pie in the sky generalities like we’ll value every guest but state exactly what your new customer experience should look like to a shopper. Once everyone has a clear picture of where you want to go, understand that if you had the ability to get there on your own, you would have. Realize you must now find a retail sales training program that can get you there, and that everyone in your organization must take it. Make sure anyone involved in the process understands what is in it for them, for your associates and most importantly for your customers. Brick and mortar retailers from the top luxury brands to the Main Street staples are in a battle for diminished demand from shoppers, fewer shoppers driving to stores, and the scourge of online discounters. Online retail sales training should have the ability to train one-to-one so each learner can take as long as they need to get the information; individuals can watch it over and over again - if necessary - until they get it right. SalesRX, my online learning program is interactive so depending on each learner’s individual answers, they go down a different learening tree to get the same training. It’s as close to personal one-to-one training as you can find. Again, old online training was nothing more than a series of videos people would show to a group that forced everyone to be in the room at the same time. Online training has come a long way. Now employees can train off the floor either on a laptop, desktop, or tablet at a variety of times. A smart manager will not let them take the training when they might be needed on the floor. Breaking their concentration short circuits the learning. For that reason, make sure you have adequate coverage so your learner can be off the floor and uninterrupted. Smart managers also realize that employees need time and practice to master the skills on the sales floor. Therefore do not assign the whole training all at once but break it up into weekly bits and grant associates enough time to practice for it to stick. Online retail sales training breaks down a comprehensive selling process into packets of information that can readily be assimilated. But make no mistake, it still can be a lot of education. You can’t leave too much time between learning and having to recall or they’ll have a harder time accessing the information when needed. Unless the new behavioral learning is practiced and used, the memory of the learning will fade. But as it turns out, that’s not all bad; forgetting can help gain expertise. As long as you expose the learner to the material again, they can master it. When you relearn something you couldn’t recall, you develop a deeper form of understanding. That’s because to remember something important, you have to keep experiencing it. And when you re-engage an area of the brain to recall something, you have a greater perspective and are able to spot connections better. So practice is necessary both at the beginning and when the learner can’t recall or doesn’t use the learning. When the training is delivered online, it is easy to send them through it again – for just one lesson or for the entire course. In fact many SalesRX clients routinely have us wipe the training so their associates have to retake the lessons. Those retailers report that every time they repeat it, learners discover new things and do even better. It isn’t seen as punishment or remedial – simply as re-exposure to gain mastery. That repetition would be impractical for in-person retail sales training, yet it costs nothing more online. Two of the most common concerns retailers have before offering training is not only will it work but will they use it? Well, they won’t use it unless you have metrics and expectations explained to them at the outset with follow-up. Do not assign the coursework as homework or give a bonus when it is completed. This is counterproductive as it models you need to get through this . The learner could power through the entire training in a night yet learn nothing. That’s why whatever training you select should have a variety of measurement tools to clearly see how many times a learner logs in and their completion rate. Once you have chosen your retail sales training online provider - and I hope it’s me - you have to think of how you will coach your new learners, what experiences you will give them to try out new skills as they are adopted, how you’ll know your training is succeeding, and how they can share success stories between themselves. That’s what happens when everyone is aligned with a new vision of what a customer experience can be in your store. It takes work and time, but what’s the alternative? How Much Should Retail Sales Training Online Cost? We’ve already said you can get retail sales training online for anything from zero to over $50 per person per month. And that you get what you pay for. Quite simply, there is nothing you can do in your retail business that has the potential to touch each and every customer day in and day out as a good retail sales training program. Wouldn’t you pay $200 a month to get $1000 more in sales, to see your close rate double, to improve your UPT? Seems obvious, doesn’t it? The potential upside to your return on investment (ROI) is huge as long as you drive the process. But You Can't Wait Until You're At Death's Door. The reason so many retailers don’t value training is they haven’t experienced what training can do for them. Those who come to retail training easily have come from a culture where training is a way of life and where money is spent to develop employees in a drive to differentiate from competitors by the the quality of service given to their customers. They see the return on investment in multiple ways from lower employee turnover, less mistakes, higher conversions, happier associates and satisfied customers. The best online retail sales training program will be able to show you the number of pass/fails on a given course or lesson. That helps you see how seriously your learners take the training. It is not uncommon to discover a high number of fails in the early lessons as associates become acquainted with the training process and realize they will be held accountable. That’s something in-person training has a tougher time measuring because there are rarely any comprehension evaluations or tools provided throughout the learning. This gives retail sales training online a leg up because it provides these tools which other trainings do not.You should also use your POS to measure your training efforts; you should compare your key performance indicators (KPIs) like average check, average number of items per check, and dollars sold per hour worked and reward as those KPIs rise. The reporting functions in your online retail sales training program are important as well. Checkout SalesRX certification program in this video. If you’ve read this far, you might have analyzed your own sales training efforts and come to the conclusion you’re not getting the results you hoped for. What steps can you take to improve your outcomes? Many training programs fail because they didn’t do what has been outlined previously in this post, no buy-in from the top, not enough explanation of why you’re doing it to the managers, no expectations set, and no one inspecting what was expected. The most obvious reason retail sales training - whether in in-person or online - fails is that the content was not good from the start and probably formatted on the cheap. Remember, we're talking culture change here. Culture change requires the utmost planning and executing of the content. The good news is that an online retail sales training program like mine has been vetted by thousands of retailers and tens of thousands of learners, so you know the content won’t be the problem when you buy it. Even if your retail training program is working, your goal is to create a culture of constant learning about human beings - not just products - so always be looking for examples in movies, in other stores, or in your online searches for new ways to describe exceptional retail customer service. Change is always scary to people who are charged to implement it without their consent or advice, so proactively bring as many people into the discussion about the need for change and listen to ideas to ensure you get buy in early. It will take too much time off the floor. Just 10 minutes is all you need per week. It's not product specific. Retail sales training is about the sift skills of engaging a shopper, regardless of product. It only adds to your existing knowledge base. We've tried training before and it didn't work. Thats why you've taken pains to choose the best program and chosen the one that addresses every concern your staff has mentioned. It will get rid of our trainer's job. Nope, this frees them up from teaching the content so they can focus on the mastery. We have seasoned employees who aren’t computer-savvy. If they can login to their Facebook account or send email, they’ll be fine. Online is impersonal; my employees prefer to learn in-person. It isn’t either/or – you still need someone on the floor to make sure the learner is using what is taught, to answer their questions, and to encourage them to try new skills. Online retail sales training is a cheaper way to get more impact due to online’s scalability. It also will ensure a better use of employee training time and an improved customer-service consistency among all associates at all locations. But here’s the biggest key to overcoming employee objections : it ensures job stability. Make sure everyone understands this cultural change helps your store become a destination of choice for shoppers. It helps thwart the onslaught of online retailers and the threat to the viability of your entire organization. Most retailers carry a variety of products in their brick and mortar stores … but so do their competitors. The old price and promotion levers simply aren’t working to increase retail sales. And now when shoppers are most likely looking down to their smartphones for help, you have to concentrate on how to make the human in front of you feel first in this age of machines. The only way to do that in your brick and mortar store is to create an exceptional customer shopping experience. Online retail sales training gives you the process to engage, build rapport, and become your shoppers’ trusted advisor. It delivers the how to aspect for every member of your crew in the exact same way, allowing everyone to be consistent from shift to shift, from store to store, from state to state. Nothing is left to chance. And once your employees master how to engage a stranger and build rapport, your managers can carefully give up control of each employee. And that’s a good thing. No one wants a supervisor who constantly nags, You didn’t greet that customer. You didn’t suggest an add-on. You didn’t get their information. The good thing about ceding control is that it requires your managers to develop a certain tolerance for mistakes. When they do this, rather than taking harsh corrective action and criticizing, your management team learns how to treat employee mistakes as opportunities to facilitate learning, and everyone wins. Convenience. It is always on. Ease of Use. There are no manuals or DVDs to lose or update; everything is in the cloud. Adaptability. From your newest part-timer to seasoned full-timer associate, everyone gets the same information. Better Retention. With bite-sized lessons, there is less to learn off the floor. Immediate Results and Feedback. Testing functions allow learners to repeat and quickly learn from any gaps in their comprehension. It’s Visual. 90% of the information our brains pick up is visual. We process visuals 60,000 times faster than we can process text. With online training, there still has to be an element of in-person training to coach and role-play the new skills. You can’t set and forget any training so remember to inspect what you expect. And when you show your associates you are willing to invest in their potential with training, you convey your confidence and trust. That allows them to sell from confidence and ends any employee simply wing it. In sum, when you choose to deliver retail sales training online, you’re better able to measure your training goals and get coachable results.